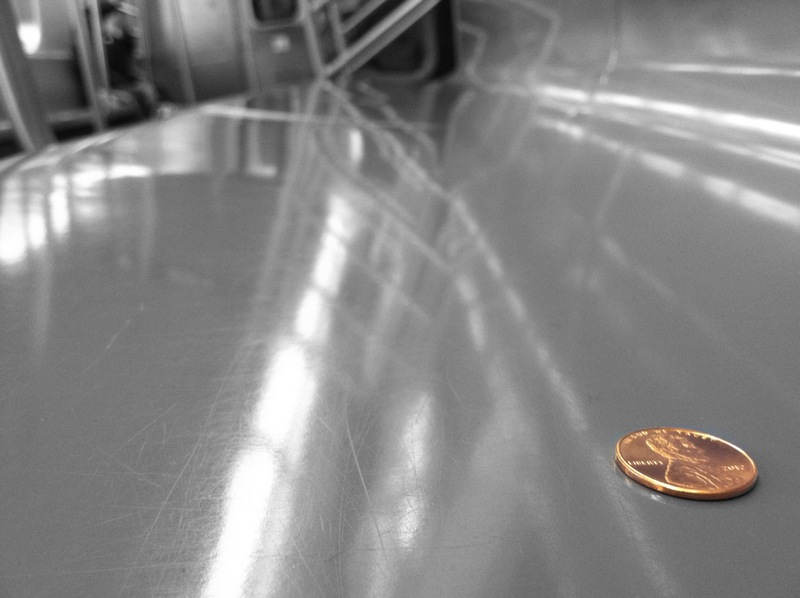 A couple months ago, at the Grey Dog in Union Square, I dropped a penny. When I looked down, I noticed that it was tails-up. While I’ve never believed a tails up penny to be bad luck-I’ve always gotten a kick out of a heads-up penny, so I picked the penny back up and shoved it in my pocket until it was ready to give someone good luck. The truth is that I personally believe that something as simple as a heads-up penny can trigger a shift from negative thoughts to positive ones. I couldn’t prove that to you scientifically–but when was the last time you found a penny and didn’t automatically check to see if it was a heads–or a tails? And what did you do when you discovered it was a tails…or a head? To be honest, I’ve read that many people don’t pick pennies up at all– “too small.” But I want to believe that the kid in us will still get excited over something as simple–and small as a heads-up penny. Besides–Remember when a penny could buy one swedish fish?—Those were the days! As I examined more closely, I discovered that the gleaming piece of copper was a heads-up penny. In that moment, I knew that I had to start the Heads-Up Penny Project as I had intended to. 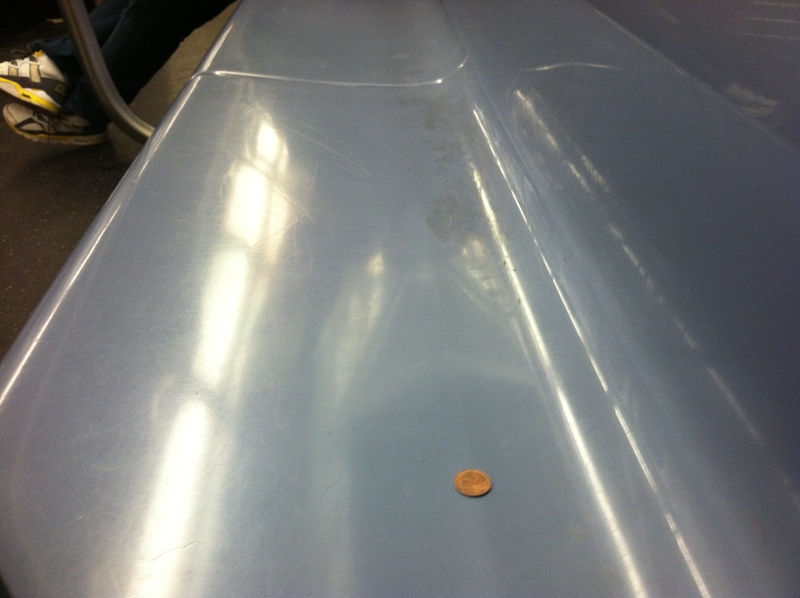 So I picked up my fortune and placed a newer, 2012, penny down on the bench–the first penny of the year. Oh–and that penny I found–I used it to scratch a lottery ticket just a half hour later: I won 10 bucks. 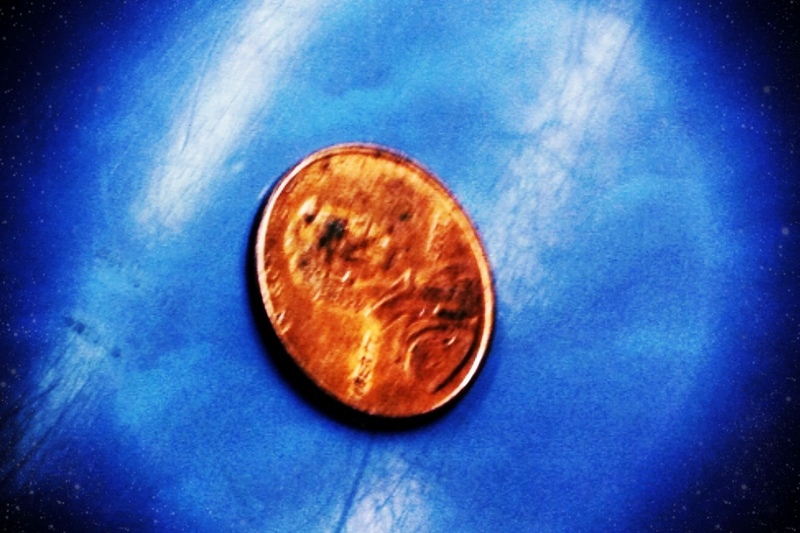 And that my friends–is the power of a penny…and how the Penny a Day hobby came to be. Please include: a photo, one sentence about the penny, your name, and your site (optional). Looking forward to the adventures of our pennies! 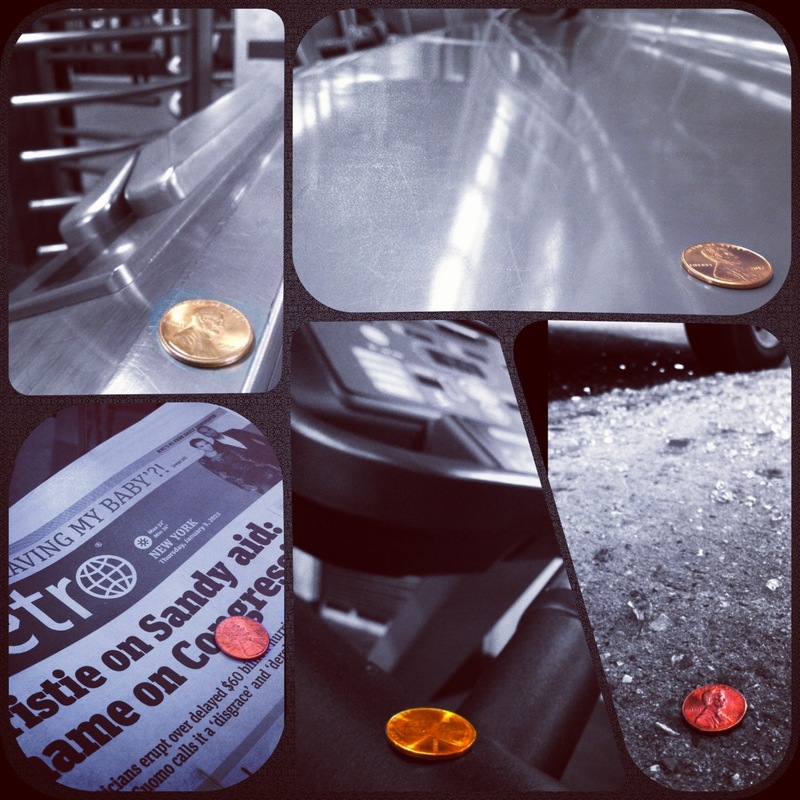 Posted in Luck and tagged 2013, 365 days, Broken Glass, Car, cents, fortune, good luck, heads up, Hobby, Hobby hoarding, Leave a little luck, leave a penny, luck, luck be a penny, miss penny lane, one penny a day, pennies, penny lane, penny Leaving, Run, subway, the hobby hoarder, Transportation, Treadmill. Bookmark the permalink.